Every time you visit a pharmacy, you can see similar drugs standing on the same shelf, but at completely different prices. 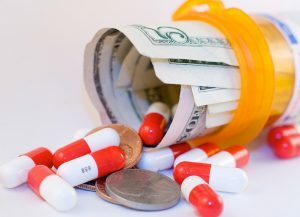 If you ask a pharmacist what the difference between them is, you’ll hear a standard explanation – cheaper medicines are generics, and the more expensive ones are brand name drugs. But what on Earth is the difference? Will anyone ever want to pay more if there is a cheaper analogue? Why is the difference in prices so huge sometimes? Why don’t all drugs have generics (for example, it’s impossible to buy generic Cialis in an American pharmacy)? Many people ask these questions again and again. Let’s try to answer them in this overview. This is probably the most common question people ask. The answer is quite reassuring: if this generic drug is sold in an official pharmacy in the territory of the U.S. and if it is approved by the FDA, there is no any difference with the original drug in terms of chemical composition. They are absolutely identical. It means that they work similarly, have a similar content of an active ingredient. They have absolutely an identical effect on the human organism, and they are administered in the same way. 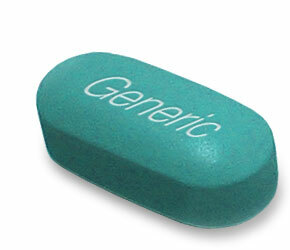 Generics are controlled by the FDA as well as original brands. There can be a difference between real brands and generics in terms of their look. For example, pills can be of different shapes and colors. But this doesn’t influence their properties. For example, if we compare different drugs from one and the same group (Viagra vs. Cialis), there will be real differences between them. But real Cialis and its generic don’t differ. Why Does the Price Differ So Much? The next question, which seems quite logical, is: “Well, if the two drugs are absolutely identical, why on Earth is this brand name stuff so expensive?” Yes, brands are often too expensive compared to their analogues. But it can be explained. Research work and clinical trials that are rather expensive. The company had to conduct multiple, independent trials to test all the effects of the new product. It requires expensive equipment and a lot of time. The product marketing and promotion. To make people buy the product, the manufacturer has to advertise in mass media, pay for advertising campaigns. It is a costly affair as well. As for generics, their manufacturers have only minor expenses. All they need to do is to take a ready formula, launch a production line, and sell their product. They even don’t need to advertise it as it will stand near a famous brand, which is the best advertisement. When and How does Production of Generics Begin? When a new drug is developed, at first it is manufactured and sold solely by the company that developed it. Other companies have no right for manufacturing similar drugs (using the original formula) for some period of time. It is controlled by the Law on Patent Protection. This is done in order to give the manufacturer time to compensate for all its expenses. This period differs for different drugs. 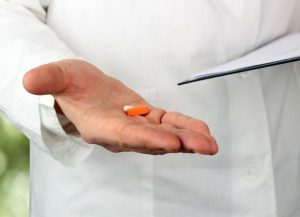 When this period expires (usually in about 20 years), other manufacturers receive the right for production of identical drugs, which further can be approved by the FDA and launched into the market. 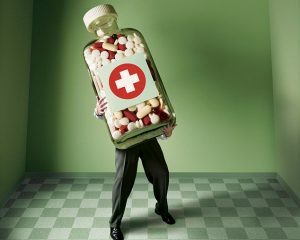 Is There a Possibility of Buying a Low Grade, Generic Drug? All medicines that you see on the shelves of any licensed pharmacy undergo strict, quality control and certification. Not all generic drugs get approval by the FDA. To get to the market, a medicine must comply with all the requirements and standards. So, if you buy a drug in a pharmacy, the risk of buying a low-quality item is minimal. If the price for a drug is too low for it to be true. Of course, everyone wants to save. In American pharmacies, Cialis’ price is too high, and its generics are still not available in the territory of the U.S. No surprise that when one sees the advertisement of Cialis online Canada and a really low price near it, he is tempted to buy it. However, keep in mind that even generics can’t be too cheap. Compare prices in several, online pharmacies and don’t be shy to ask questions: Why is the price so low? Where was the drug produced? And so on. The pharmacy website is newly registered; there is no contact information apart from an email. A reputable pharmacy, as a rule, has an offline office, and its physical address is indicated on the website. At least, there should be a phone number for you to call and ask for information. If you are not sure what to choose – a brand name drug or a generic option, consult your physician or a pharmacist. In most cases, generics are of the same quality, but it’s better to buy them from trusted pharmacies.